Chail is 45 km from Shimla. The Chail Palace is well known for its architecture, the palace was built as summer retreat by the Maharaja of Patiala during the British Raj. The cricket ground and a polo ground which is there at an altitude of 2,444 m was owned by erstwhile royal family of Patiala. It is the world’s highest cricket ground. 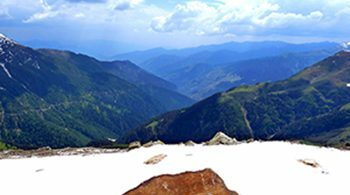 Chail is also considered as the hiker’s paradise. The area is away from the bustling life of the state capital Shimla. In 1891, Maharaja Bhupinder Singh of Patiala incurred the rage of Lord Kitchener. It led to the restriction of his entry in the Indian summer capital, Shimla. This incensed the Maharaja and he vowed to build a new summer retreat for himself. So he rebuilt the place (Chail) as per his requirements. After accession to the Indian Union, Maharaja of Patiala donated most of his buildings to Chail Military School and Government of India. RASTRIYA MILITARY SCHOOL, It is home of Rastriya Military School Chail who is one of the five Rastriya Military Schools of country . Where approx 300 cadets from all parts of country are groomed to be the future leaders of country . 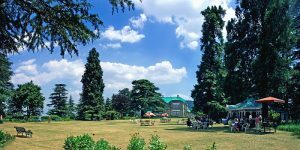 its Sanctuary, Sadhupul (3 km)- The sanctuary was notified on 21 March 1976 near the town in district Shimla and covers an area of about 10,854.36 hectares. The Chail sanctuary has ‘ghoral’, ‘kakkar’, ‘sambhar’, ‘red jungle fowl’ and ‘khalij’ and ‘cheer’ pheasants. Machan like sighting posts have been built at Khuruin. Cricket Ground- Surrounded by thick forests of deodar, a well maintained Chail Cricket ground is the highest cricket ground in the world. It was built in 1893. 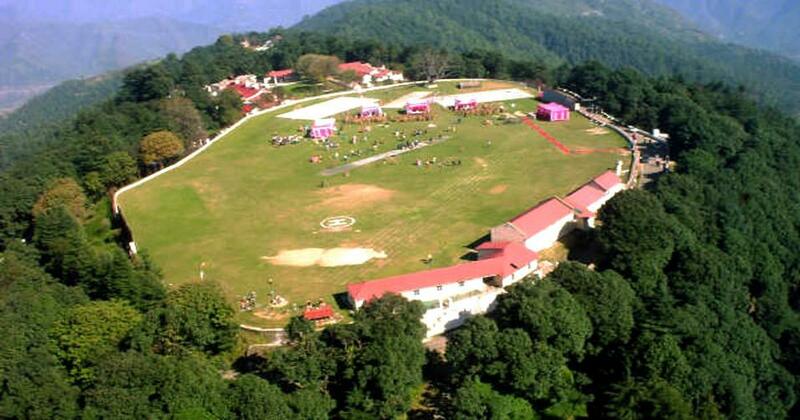 This ground located at an altitude of 2,444 m. It is used as the school playground by Chail Military School. During school vacations it is also used as polo ground. There is a well maintained Basket Ball court and the same cricket ground is used for playing football as the ground also has goal posts.In one corner of the ground there is a historic tree on which the Military School has constructed a beautiful tree houseChail Military School, situated in ancient buildings made by Maharaja of Patiala. Gurudwara is also one of the main attractions of this place, it was the first building to be constructed by the Maharaja and after that the palace was built. 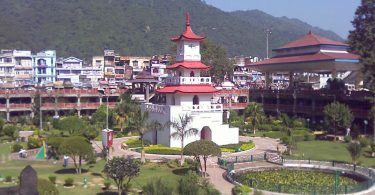 The Gurudwara was built in indo-western style in 1907, the 22ft high wooden roof is its main and highlighting feature. it is a must place for the tourists to visit. Access by Air : Road Distance or driving distance from Shimla Airport to Chail is 66 kms. Access by Rail : Road Distance or driving distance from Kalka Railway Station to Chail is 80 kms.